From driving under the influence of drugs or alcohol to traffic violations, excessive speeding, texting or tailgating, there are a number of factors that may result in reckless driving accidents throughout Atlanta. While many “reckless drivers” do not drive with the intent to harm another individual, however, they are often labeled as reckless or aggressive drivers simply due to their behavior behind the wheel. 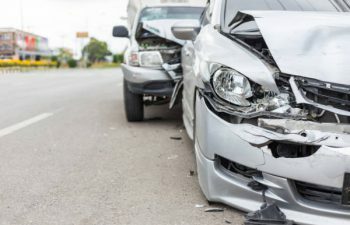 For this reason, if you or a loved one has been injured in a reckless driving accident, it is wise to seek legal counsel from a qualified and experienced personal injury attorney. Because the definition of reckless driving remains broad, it is important to have a general understanding of simple versus gross negligence, as these concepts may come up while discussing your accident. In short, when a driver’s lack of care extends beyond simple inadvertence and includes a complete disregard for other drivers, this might be considered grossly negligent behavior. In other words, if a driver is operating a vehicle in such a way that he or she would expect to harm another person, this is considered reckless driving. Furthermore, the extent of the danger caused by a reckless driver is taken into consideration when determining the type of negligence. Because these types of accidents are riddled with complexities, a careful analysis of the accident and the behavior of the driver are critical. The consequences for those injured in a reckless driving accident are far-reaching. Depending on the severity of injuries, victims may require extensive medical care or surgery, as well as an extended leave of absence from work. In addition, they may experience psychological and emotional pain, not to mention financial strain over mounting medical bills. Attorney Daniel J. Moriarty is an experienced Atlanta accident attorney that is well positioned to provide the expert guidance victims need in the aftermath of a reckless driving accident. With a seasoned understanding of how insurance companies work, Attorney Moriarty knows how to fight for the compensation victims need and deserve. For a free consultation to discuss your case, contact Moriarty Injury Lawyer today.